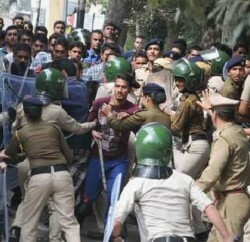 Non-Teaching Employees of Himachal Pradesh University (HPU) have expressed disappointment for allocating insufficient funds to the university. 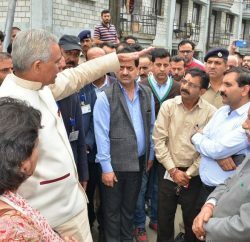 Joint Coordination Committee (JCC) president Hitender Singh Thakur said that the university had demanded Rs 90 crore and Govt only allocated Rs 69 crore, which is insufficient even for the regular liabilities of salaries and pensions. Thakur said that during the election year in 2012-13, the previous government had released Rs 89 crore, but in 2013-14 and 2014-15 Govt only allocated Rs 63 crore to the university. The university was also facing shortage of staff with 565 posts of employee, including 232 posts of teacher and 333 posts of non teaching staff, lying vacant and if these posts were filled, the financial burden would mount, Thakur added. JCC blamed government for not paying heed to the recommendations of Executive Council of the university and not even releasing UGC scales to the administrative staff. They threaten to start the agitation if their demands weren’t accepted.